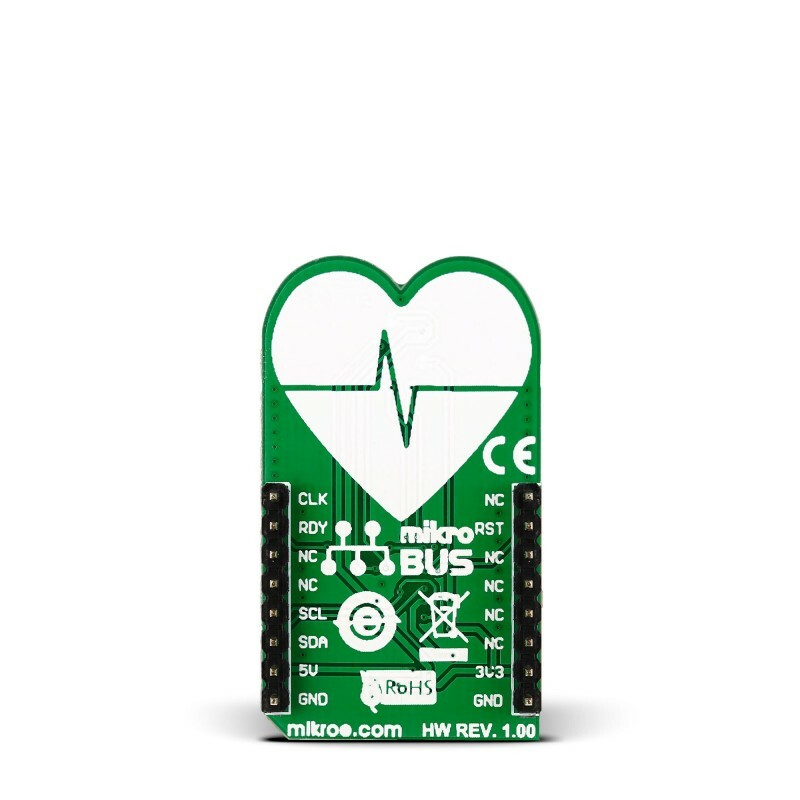 Heart rate 3 click is a mikroBUS add-on board whose functionality is determined by two components: an OSRAM’s SFH7050 pulse oximetry and heart rate monitoring module, and a TI AFE4404 (analong-front-end) IC specialized for bio-sensing. The SFH7050 multichip package contains 3 LEDs and one photodiode separated with a light barrier to prevent optical crosstalk. When the three LEDs shine through a subject’s finger, some of the light is absorbed by the pulsating blood. The analog reading from the SFH7050 is forwarded to the AFE chip that is able to derive pulse readings from the intensity of the reflected light. 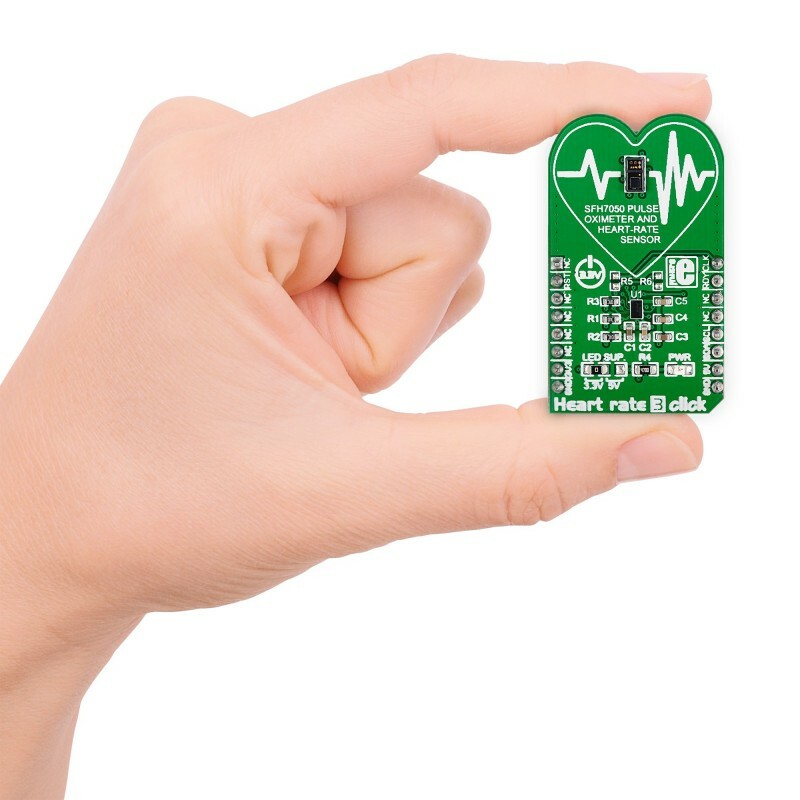 AFE4404 is highly-configurable and adaptable for different usage scenarios (different lighting conditions or skin tones) making Heart rate 3 click a robust heart rate monitoring solution. 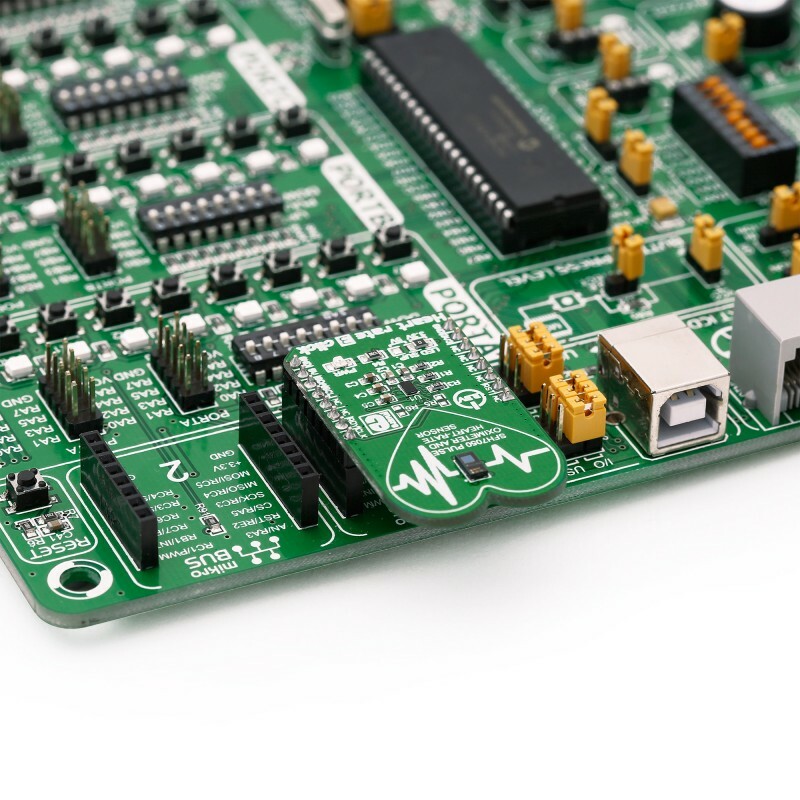 The board communicates with the target MCU through the mikroBUS™ I2C interface, with additional functionality provided by RST, CLK and RDY pins. 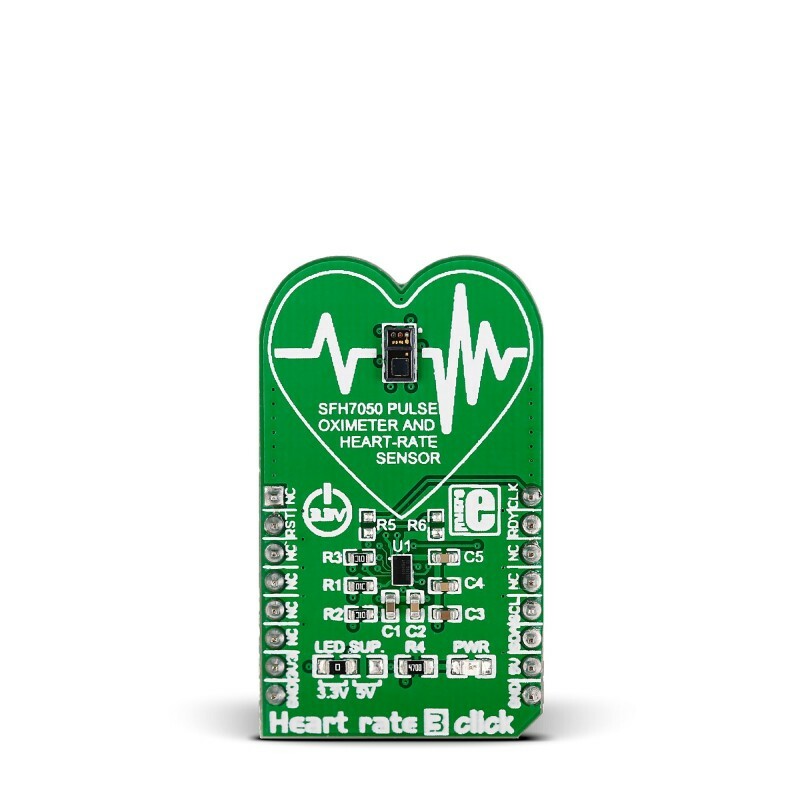 Heart rate 3 click works on a 3.3V power supply, but an onboard jumper allows you to set the voltage for driving the SFH7050 LEDs at either 3.3V or 5V. Heart rate sensors are an interesting way to use IR LEDs (Infared Light-Emitting Diodes) and photo diodes to find a hearts' pulse. Amazingly, the intensity of light received through the photo diode is actually different depending on how much blood is in your arteries. Setting up of Heartrate 3 click and external interrupt to read values at 100hz and using an algorithm to find a heartrate. 13 uint64_t int_count = 0;      //Used by timer to calibrate sampling freq. 89   EnableInterrupts();                  // Enables the processor interrupt.